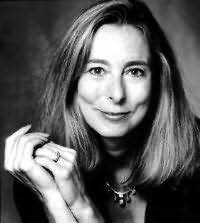 Ann Beattie has been included in four O. Henry Award Collections and in John Updike's Best American Short Stories of the Century. In 2000, she received the PEN/Malamud Award for achievement in the short story form. In 2005, she received the Rea Award for the Short Story. She and her husband, Lincoln Perry, live in Key West, Florida, and Charlottesville, Virginia, where she is Edgar Allan Poe Professor of Literature and Creative Writing at the University of Virginia. "Hypnotic... one of our most remarkable storytellers." "Exiles is filled with suspense. . . . It's a fascinating look at a place during a particular time, but the intrigue transcends the locale. The ending is riveting and insidious. Which I mean as a compliment." "Amazing... a book about identity, privacy, and intimacy that both exposes and conceals its subject - Marilyn Monroe." "What an original, enlightening and humane book...And what a good one." "A wonderful book, elegantly written." "What a book! The World of Tomorrow is a panoramic tour-de-force, a huge undertaking peopled with convincing characters and animated by a persuasive historical accuracy."